The exterior of the famed restaurant and hotel, Chiltern Firehouse in London, housed inside a 1889 Grade II-listed heritage building. 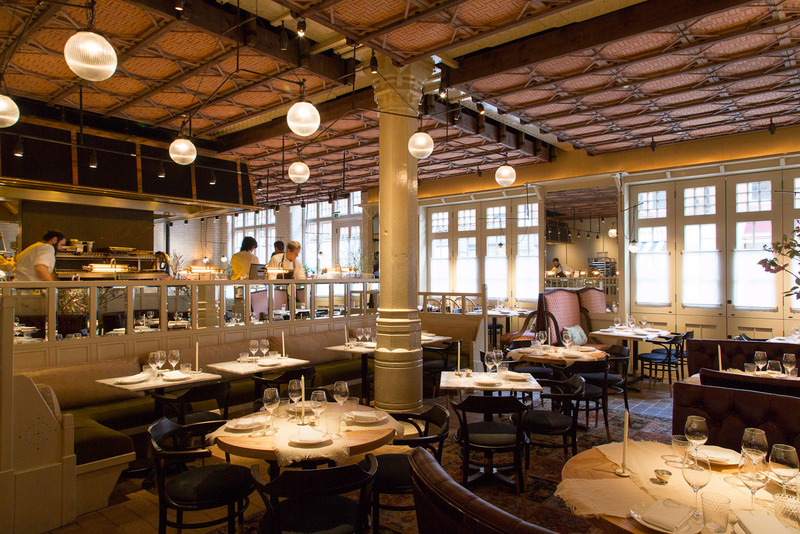 Inside the dining room at Chiltern Firehouse with open kitchen. 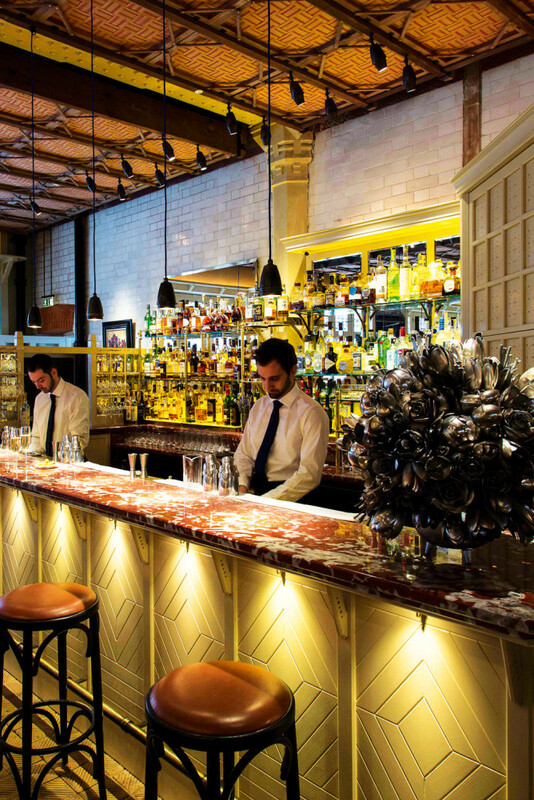 Staff at Chiltern Firehouse mix cocktails at the intimate bar. 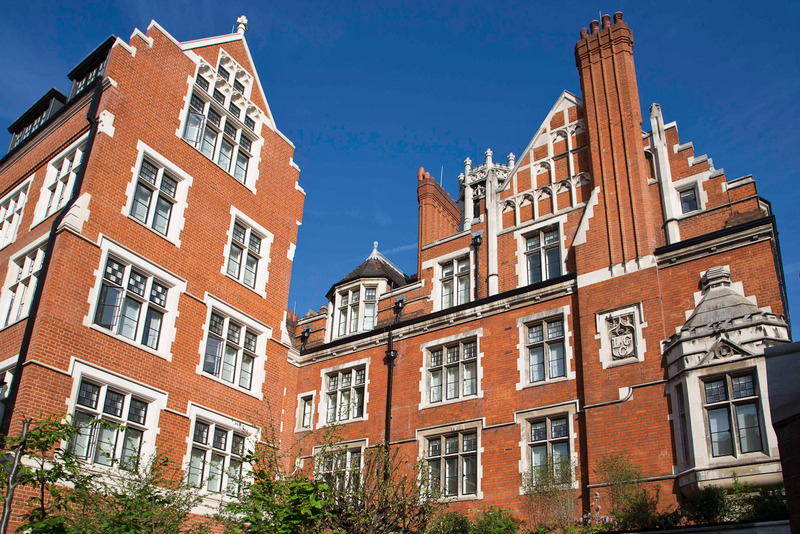 London’s des res Marylebone neighbourhood. André Balazs, the high priest of hip hotels/hostelries. Just about the hottest destination in the capital right now, the restaurant opened first in February 2014, immediately attracting A-list celebrities like moths to a flame. This was followed by the hotel opening in June 2014. The first Europe property for Balazs, the man responsible for The Chateau Marmont, The Mercer and The Standard brand, The Chiltern Firehouse is a 26-room boutique hotel and restaurant which has been retro-fitted into a gothic Victorian firehouse originally built in 1889, and was only decommissioned in 2005. The bulk of the rooms are housed in the firehouse itself along with the restaurant, with a new sympathetic addition (the building is Grade II-listed so all eyes were on the project from the start) for the lounge and reception and four suites, with the old laddershed converted into a guests-only lounge bar of the same name. While all the expected mod-cons have been added, deference has been paid to the original architecture and design, with original features like fireplaces restored to full working order and a wall of the Laddershed still clad in its layer upon layer of original paint. Balazs has described it as “intensely bespoke”; it is already proving to be intensely popular.